Michael "Mikie Scars" DiLeonardo's Testimony (from the American Mafia website). Q. How many times have you been married? Q. What is your current wife's name? Q. And do you and Madeline have any children together? A young Mikie Scars, taken in the 1980s. Q. How old is Anthony? Q. What is your ex-wife's name? Q. And do you and Toni Marie have any children together from your first marriage? Q. How old is Michael? Q. What part of Brooklyn? Q. How long did you live in Bensonhurst? A. About 47 years -- 43 years actually. Then I moved to Staten Island. Q. What kind of neighborhood was Bensonhurst when you were growing up as a kid? A. An Italian neighborhood predominantly, mostly Italians. Q. Who did you live with when you were a kid in Bensonhurst? A. My mother and father, and next door to my grandmother grandfather. Q. Did you have any brothers and sisters growing up? A. Two brothers, James and Robert. Q. You said that your grandparents lived next door to you? Q. What did your parents do for a living? A. My mother was a seamstress by trade, and my father was a horse player. A. Yes. He used to like to play the horses. Q. Did he do anything else for a living? A. No. He gambled. That was it. A. My father is alive. My mother passed. Q. When did your mother pass away? Q. What became of your two brothers, James and Robert? A. My brother James lives in Alaska, and my brother Robert was murdered. Q. When was your brother Robert murdered? Q. How did your brother Robert die? A. He was shot dead. Q. Where did you go to high school? Q. Was that in Bensonhurst? A. I believe it was '73. Q. Did you go on to college? Q. How long did you stay in college? A. About 18 months, year and a half. Q. Were you known by any nicknames as you were growing up as a kid in Brooklyn? Q. What was that nickname? Q. How did you get that nickname Mikey Scars? A. When I was about eight or ten years old I was bitten by a dog in the face, and it left a visible scar. Q. How soon after that dog bite on your face did people start calling you Mikey Scars? Q. So at the age of eight or ten years old? Q. Have you ever used that nickname to refer to yourself? Q. What name do you prefer that your friends call you by? A. '98, March of '98. Q. How long did you live in Staten Island? A. Until 2002, June of 2002. * Michael DiLeonardo personally confirmed that spelling of "Mickie," versus the more conventional "Mickey." Q. What happened in June of 2002? Q. Did you go to prison at that time? Q. What type of criminal charges were you arrested on? Q. Was that state or federal? Q. What district were you arrested in and charged? A. This one right here. Q. Were you taken before a federal judge? Q. Is that a federal judge in this courthouse? Q. How long did you remain in prison on those charges on which you were arrested in June of 2002? A. Until June of 2005. Q. And what happened in 2005? Q. Who granted you bail? Q. What is the current status of that criminal case? Q. Have you pled guilty to crimes? Q. I will get back to that later. You say you pled guilty and you are awaiting sentencing. Sentencing by whom? Q. Now, without telling us where you currently live, do you live alone or with others? A. I live with others. Q. That's your second wife Madeline? Q. And your son Anthony? Q. Who picked the place where the three of you live now? A. The witness security program, the Marshals Service. Q. Did you or your family have any say in the location where you now live? Q. Do you and your wife Madeline and your son Anthony currently live under your real names? Q. And whose decision was that? A. The Marshals Service also. Q. Are you appearing here today under the protection of the United States Marshals Service? Q. Prior to your arrest in June of 2002, had you ever been arrested before? A. I believe it was in the '70s. It was a gambling, promoting gambling charge for a casino in Las Vegas. Q. Were you innocent or guilty of that charge? Q. And what in particular had you done to be guilty of illegal gambling? A. I was part of this gambling operation. Q. Did you plead guilty to that charge? Q. What was the sentence? A. I believe I got a $50 fine. Q. Now, you say there was a second arrest. When was that? Q. Were you arrested or did you voluntarily surrender? A. I surrendered in Atlanta. A. It was a racketeering case, extortion, money laundering. Q. And was that state or federal? Q. Was that federal court in Atlanta? Q. How much time were you facing on those racketeering charges in Atlanta, Georgia? A. 20 years and up. It was a high guidelines. A. High sentencing guidelines, yes. Q. How did you plead in that federal case? Guilty or not guilty? Q. Did you go to trial in that case? Q. 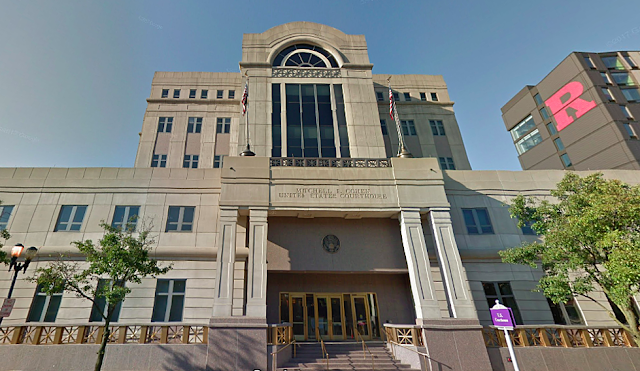 Was the trial held in federal court in Atlanta? Q. Was that a jury trial? Q. How long were you on trial? A. Four months to the day. Q. What was the result? Q. Do you remember the date on which you were acquitted? Q. Who found you not guilty? The judge or the jury? Q. Were you innocent or guilty of those charges? Q. In fact, as you sat in that courtroom listening to the jury's not-guilty verdict, were you in fact a member of a racketeering enterprise just as you had been charged? A. Yes. The Gambino family. Q. What kind of family is the Gambino family? A. Mafia or Cosa Nostra family. Q. You used that term "cosa nostra." What does that mean in English? A. It means "our thing" or "this thing of ours." A. Are there other families that make up Cosa Nostra in the New York area? A. Yes. There's four more in New York and one in New Jersey. Q. And can you name for us the ones that are resident principally in the New York area? A. Yes. There's the Genovese family, Colombo family, the Bonanno family, and the Luchese family. Q. You say there's an additional, or sixth, family that's principally based in New Jersey? Q. By August of 2001, that day that the jury pronounced you not guilty in Atlanta, how long had you been a member of the Gambino family? A. At that time in 2001 it was 13 years. Q. Do you remember the date on which you were inducted into the Gambino family as made member? A. Yes. That would be December 24, of '88. Q. What specifically happened on Christmas Eve of 1988? A. I was inducted. I became a made man. Q. Did you go through a ceremony at that time? Q. What does it mean to be inducted into a Mafia family as a made man? What title do you take on at that point? Q. What does it mean to be a soldier? A. Well, I had latitude now and as part of the organization I could go to my captain who's in charge of the crew which in turn goes to the boss. And I just about free reins of anything I wanted to do. Q. Who was the boss of the Gambino family on Christmas Eve of 1988 when were you inducted as a soldier into the Gambino family? Q. How old were you when you became a Gambino soldier? Q. Was that a proud day in your life? Q. As you sit here today, do you still consider yourself a member of the Gambino family? Q. To your mind when did you leave the Gambino family? A. The day I walked into the U.S. Attorney's Office and cooperated. Q. Was anyone else in this courtroom inducted into the Gambino family as a soldier on the same night and in the same ceremony as you on December 24, 1988? Q. Do you see John Gotti, Jr. in the courtroom here today? Q. Will you please indicate for the record where he's sitting? MR. CARNESI: We'll stipulate the identification. Q. Sir, how long have you known John Gotti, Jr.? A. I would say from about '85 or '86; 20 years. Q. Do you recall how you and he first met? A. I believe it was at a wedding. Q. Were you already associated with the Gambino family in this time frame, around 1986? Q. 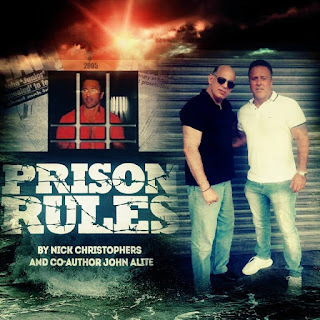 At the time you first met John Gotti, Jr., who did you know him to be? A. He was the boss's son. Q. Did you and he continue to meet and socialize from that day forward? Q. Since that day in December of 1988 when you were both inducted into the Gambino family as soldiers, approximately how many face-to-face meetings would you say you have had with John Gotti, Jr.? Q. What percentage of those meetings involved the criminal affairs of the Gambino family? A. Almost all of them. Q. Did you also from time to time participate in each other's private family affairs? A. I baptized John's son John. Q. 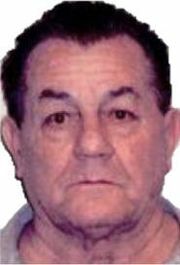 Prior to your arrest in June of 2002, what types of crimes had you committed on behalf of the Gambino family? A. Construction extortion, general extortion, stock market fraud, murder conspiracies, murder, assaults. A. Money laundering, tax evasion. Q. You mentioned conspiracies to murder and actual murder. How many people did you kill or agree with others in the Gambino family should be killed? A. There was two, and a conspiracy to murder. Three all together. Q. To your knowledge, did all three of those people end up getting killed? Q. Do you know how they died? A. They were all shot to death. Q. Did you shoot any of those three victims? Q. Did you see any of these three victims being shot to death? Q. Were you present when any of those three victims was shot to death? Q. Were any of those victims killed on your orders? Q. So what, to your mind, makes you guilty of those murders? A. I was sent by the boss of our family on each occasion, the two murders. I was part of the conspiracy. Q. Who was at the head of each of these conspiracies? 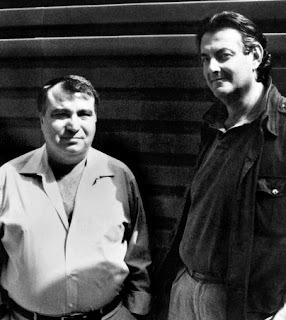 A. Paul Castellano with Jack, and John Gotti, Sr. with Fred Weiss and -- yes, I would say Frank Hydell also, yes. Q. With regard to all three of those victims, were you part of the Gambino family at the time those murders were carried out? Q. Sir, have you used any illegal drugs in your life? A. In my early teens, like 14, 15 years old, I smoked pot maybe a dozen times. Q. Are you currently taking any prescription drugs? A. Yes. I'm taking Nexium for acid reflux. Q. For those who don't suffer from that, can you just describe that condition. A. Yes. If you retain a lot of acid in your esophagus, this controls it, this medication. Q. You mentioned earlier that when you first met John Gotti, Jr., in 1986 you already knew him to be the son of the Gambino family's boss, John Gotti, Sr., correct? Q. How far back do you trace your own roots in the Mafia and the Gambino family? A. The turn of the century, early 1900s. A. My grandfather on my father's side. Q. And who was your paternal grandfather? Q. Tell us something about him. A. When he first came to the country, they started a group called the Black Hand. They were going around extorting everybody, and it became later on into what's called Cosa Nostra, or Mafia. Q. Was the Black Hand a precursor to today's Mafia? A. Yes, it was in this country. Q. Do you consider -- in this country. Do you consider your grandfather one of the founding members of the Black Hand? Q. How close were you to your grand father when you were growing up as a kid in Brooklyn? A. I grew up in his house. Q. Was your grandfather associated with any particular Mafia family later on, after the initial formation of the Black Hand? A. Yes. There was a fellow that he was gumbatas with, my grandfather, called Sam DeQuillo [Ed. : This appears to be a reference to Salvatore “Toto” D’Aquila], who became the boss of that family and later on metastasized into the Gambino family. Q. What rank in the Gambino family did your grandfather ultimately hold? Q. What about your father? Was he ever straightened out? Q. And when I use the term "straightened out," can you tell us what that is a synonym for? A. Yes. It's an induction, inducting into the family, being a wise guy, being a made member. Q. So when an associate gets straightened out, he becomes what? A. A made man, a soldier. Q. Who was the boss of the Gambino family when you were growing up in Bensonhurst as a kid? Q. Had you ever met Carlo Gambino? Q. I am going to refer you to Government's Exhibit 26 on the screen. Tell us whether you recognize that individual. A. That would be him. Q. Was Carlo Gambino close with your grandfather? A. He would come by the house. My grandfather was much older than him, and he was like, almost like a protege of the old timers at that time, Carlo, and he would come by the house for advice at times. Q. Did he attend your grandfather's wake? Q. Did you come to know your grandfather's and your father's friends when you were a kid? A. They would come by the house. They would have meetings in my grandfather's basement or just come by on Sundays and drop off pastry or something like that. Q. Who were some of these folks that you grew to meet as a kid? A. Toddo Auriello, Jimmy Brown Failla, Mario Traina. Q. Toddo, T-o-d-d-o, Auriello, A-u-r-i-e-l-l-o, who was he? A. He was a captain of the Gambino family. Q. You mentioned Jimmy Brown Failla? A. He was also a captain of the Gambino family. Q. Who else did you meet as aid kid? A. He was also a captain in the Gambino family. A. Joe Gallo, who was a consigliere. His family and my grandfather's family came from the same town in Italy, I believe, so they had that relationship. Q. How old were you when you were rubbing elbows with consiglieres and captains? A. As far as I can remember back. They would give me a quarter, dollar, 50 cents, at that time, in the '60s. Q. Did you ever meet Joe Colombo? Q. How did you come to meet him? A. That was the night I got bit in the face by the dog. I was being rushed to the hospital, and he was coming in my house to go upstairs to a card game that was being held upstairs. And I was bleeding profusely through a towel, and he had given me his handkerchief on my way out. Q. Who was Joe Colombo at the time he gave you that handkerchief? A. He was the boss of the Colombo family. Q. How about an individual named Paulie Zaccaria? A. He was someone who, his father and my paternal grandfather were very good friends. He was one of the guys from the turn of century, also being Paulie Zac's father, so we remained very close through all the years with Paulie Zac, my mentor. Q. You consider Paulie Zac your mentor? Q. Let me direct your attention -- there's a photo binder there to your left hand, and I direct your attention to Government's Exhibit 160, which is not yet in evidence. Q. Do you recognize the individuals shown in that photo? Q. Just give us one or two that you recognize? A. That would be Paulie Zac sitting in the middle of the photo and myself. Q. OK. What's the approximate time frame of this photo? A. I would say late '70s or mid '70s. Q. How old would you have been at this time? Q. Do you recognize the location? MR. McGOVERN: Your Honor, we offer 160. THE COURT: I assume there is no objection to 160. MR. CARNESI: No objection, Judge. Q. It is going to now being pulled up on the screen, sir. There's a laser pointer there at the left-hand side up top. Q. There's a blue button that activates the laser. If you would, move from left to right and tell us who you can recognize in this photo. A. There is a friend of mine, Robert Rosami. That's me. This is Pauley Zac's girlfriend, Eleanor. That's Paulie Zac; his daughter Joanne, and Eleanor's mother, Josie. Q. And Paulie Zac's relationship, if any, with the Gambino family at this point in time? Q. Now, how old were you when Carlo Gambino died? A. I believe I was 21. Q. Who succeeded Carlo Gambino as the boss of the Gambino family? Q. 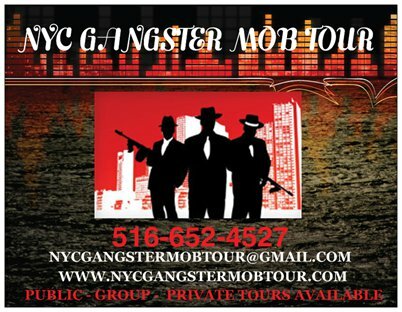 Did you ever meet Paul Castellano? Q. I show you on the screen Government's Exhibit 9. Do you recognize that individual? Q. By the time you were 21 years old, how familiar had you become with the criminal affairs of the Gambino family? A. By the time I was 21, I was very familiar. Like I said, I grew up around it. I knew just about -- without being introduced, of course, who the wise guys were and things like that. Q. Had you already started committing crimes on behalf of the Gambino family? A. When Paulie wanted me to go give somebody a beating or do some vandalism or things of that nature, I would, or I started to shylock at early age, ookmaking. Q. Did your connection to the Gambino family grow stronger once Paul Castellano came to power? A. I was officially put on record with Lilo Garafola, who was a captain under Paul Castellano. Q. The spelling on that is L-e-l-o, Garafola? Q. He was a captain in the Gambino family you said? Q. Where were you hanging out these days that you said you were on record with the Gambino family and Paul Castellano was in power? A. Paul had opened up a social club in Brooklyn on 86th Street called Veterans and Friends. I would be there three, four times a week as a kid. Q. Would you turn in the photo binder to Government's Exhibits 101A and 101B, which are not yet in evidence. Q. Can you just describe for us the scenes depicted in 101A and B? A. Yes. That would be Veterans and Friends. That would be the social club. Q. And whose social club was that? Q. Do you recognize yourself in these photos? MR. McGOVERN: We offer 101A and B, your Honor. THE COURT: 101A and B are received. MR. McGOVERN: I believe we can now pull those up on the screen. Q. Using the laser pointer, sir, and moving from left to right, tell us who you recognize. A. That would be me, Sammy Rigabone. A. He was an associate at the time, but his father was a captain. This individual I can't make out. Sammy Ligiere. This looks like from the back Sonny Giuliano. A. He was an associate at the time and later became a member. Q. Do you see what's written in the window on the far left hand side of the social club? A. Yes. It says Veterans and Friends. Q. OK. Could we see 101B. Can you make any better identifications now in 101B moving left to right? A. That's me. Sammy Rigabone. This looks like Joe Brewster Delmonico. A. He is a soldier in the Gambino family. This is Johnny Rigabone. This is Junior, his nephew. This is Johnny Rigabone, the guy I was telling you about, a captain. This looks like Joe the blond. A. Joey the blond, yes, Giordano. A. He later on become a soldier. This is Sonny Giuliano. Q. And again, the scene depicted in these photos is outside of whose club? Q. At this point in time he was the boss of the Gambino family? Q. Can you give us an idea of, apart from the guys in the photos, I mean, what other sorts of people were you rubbing elbows with every day or four times a week at Paul Castellano's club? A. Usually the whole hierarchy of the family would come in weekly and other members of other families. Q. Do you remember some of the high-ranking members of the family that you began to associate with at Paul Castellano's club? A. He was a captain. Tommy Bilotti, who was a captain. John, Gambino, captain. Johnny Rigabone, Nino Gaggi, captains. Roy DiMeo was a solder. Sammy Gravano was a soldier at the time. Louie Milito, Louie Vallario. Just about the whole family was coming down. Q. You said there came a time that you were put officially on record as an associate of the Gambino family. Who did that for you? Q. Did that change the way that you were able to earn money? A. It gave me a strong-arm umbrella. I could go out there and start things on my own, start some things and earn some money for me and my family. Q. Why were you stronger with the Gambino family behind you? A. I had a whole enterprise behind me, a whole army. It's like having a license. Q. What kind of money did you start to earn on the street? A. I got $10,000 from Paulie Zac to go out and start shylocking, which I did. Q. What do you mean by shylocking? A. Well, I was able to go out and lend money out at an interest rate, a weekly interest rate. Q. What kind of interest rate? A. I charged up to 5 percent, from 3 to 5 percent at that time. Q. And that's 5 percent a week? A. 5 percent weekly, yes. Q. If someone pays that weekly percentage, does it do anything to affect the principal? Q. You also mentioned that, in addition to being on record with Paulie Zac you were reporting into a Gambino captain by the name of Lilo Garafola? Q. As you were earning money on the street through loan sharking and other activities, were you sharing any of that money with your soldier and your captain? A. Yes. I would give 1 percent of the 10,000, which was $100, to Paulie Zac. And Paulie Zac suggested that every Saturday I go out and see Mr. Lilo, as we called him, put $100 in an envelope and give him a hundred also. Q. Why were you kicking up to your superiors? A. That's the way the machine works. That's the way our captains and soldiers in the hierarchy eat, through the associates and soldiers. We have to support them. Q. Did there come a time that you opened your own social club in Brooklyn? A. Late '70s, maybe 1980, first one. A. Bay 7th and 86th Street, down the block from Paul's club. Q. How did that, if at all, help you to continue to earn money? A. Well, now that I had a home base, if somebody wanted to come and find me to borrow some money or a beef or for any reason, to gamble, they would know where to find me, and I had my own crew of guys and we all hung out there. Q. When you say a beef, that is that? A. Say somebody had an argument in the neighborhood over money or anything. They could come and find me, a dispute, an argument. Q. Did there come a time you closed down your first club and opened a second social club? A. I would say that was '80 or '81. Q. Where was that one located? A. 75th Street and New Utrecht Avenue in Brooklyn. Q. Who was coming to your social clubs in the late 70s and early 1980s? A. Well, the second club everybody really started to come, a lot of made members, Sammy Gravano, Frank DeCicco, Louie Milito, Al Carbonaro, just about everybody in Sammy's crew, Eddie Garafola and Paulie Zac, the DeCiccos. Just about everybody. Q. Do you recall the first time you met John Gotti, Sr.? Q. Where were you when you met him for the first time? A. By my grandmother's house in Brooklyn. Q. And how did John Gotti, Sr. come to be by your grandmother's house? A. Paulie Zac came to me one day, and he says, There's going to be a high-level meeting, and it would be good for you to find a safe house, find a place maybe -- he suggested my grandmother's house that this meeting could be held at. It would, you know, build up my credit in the family. Q. What is a safe house? A. It's a place where they can meet where they hopefully won't be seen by law enforcement and out of the eye of the public really, somewhere they could blend in. Q. Did Paulie Zac tell you what the purpose of this meeting was? A. Yes. Paul Castellano issued a committee to go around pulling in all the skippers two at a time with their crews and telling them our edict against dealing drugs, that if you're caught dealing drugs you will be killed. Q. You mentioned the term "skippers." What does that mean? Q. Who introduced you to John Gotti, Sr. that night at your grandmother's house? Q. At that point in time did you have any idea who John Gotti, Sr., was? Q. Did you speak to Paulie Zac about John Gotti, Sr. after -- well, did they actually have the meeting at your grandmother's house? Q. Were you allowed as an associate to participate in that high-level meeting? A. No. I stayed outside and watched. Q. OK. Did you speak to Paulie Zac after the meeting concluded about John Gotti, Sr.? A. Yes. After I said goodbye on John and everybody else left the house, when John was walking away, Paulie Zac told me, he says, "See that guy. He's going to be the next boss of our family." Q. Just to be clear, who was the boss at the time that the meeting was being held? Q. You told us earlier that your brother Robert was shot to death on July 16 of 1981. How old were you when your brother Robert was killed? Q. Who did you believe was responsible for his murder? Q. Did you do anything to avenge his murder? A. No. I was directed not to go anywhere near it, or the Gambino family would wash their hands with me. Q. Explain that to us. Who directed you not to do anything to avenge your brother's murder by the Colombo family? A. Paul Castellano had sent some emissaries to talk to me about it. My brother Robert was with the Colombo family, and being he was with that family, we have no say and no influence on their politics or anything that they do. So this is a way to tell me this is Cosa Nostra. This is the way the rules are. Your brother was there. They killed him and that's it. There's no questions to be asked. If you want to do something about it, you are on your own. So I was advised to eat it. Paulie Zac came and told me, he said eat it. Keep it in your stomach. That's the life. If you want to be part of the life you got to eat it. Q. By the time you were 26 years old, had you been involved in any violence yourself? A. Many assaults. I had a lot of fights in my time. I hit somebody with a baseball bat, chased guys with baseball bats, gang fights. We had a lot of gangs in our neighborhood. We would fight with different areas of our neighborhood, with our friends, believe it or not. Q. Did you consider Bensonhurst a tough neighborhood as a kid? A. Oh, it was extremely tough. Q. What about loan sharking? You talked about that earlier. Do you consider that a crime of violence? A. If you don't pay, you may get hurt. Q. Did there come a time that you were asked to participate in a murder for the Gambino family? Q. When was the first time? A. In the early '80s. Q. Approximately how old were you at the time? A. I was 26, 27, maybe around there. A. Paulie Zac told me to go see Louie Milito. Q. Who was Louie Milito? A. He was a soldier of a Toddo Auriello. Q. Did you go do see Louie Milito just as your soldier, or Paulie Zac, had instructed you? Q. When you met with Milito, what happened? A. He said they were going to put me on -- excuse me. They were going to put me on a piece of work and that I was to go out on Staten Island and meet some of the other fellows and talk about it. Q. There is a cup of water there to your right hand side, if you need it. When Louie Milito told you that you were going to be needed possibly for a piece of work, did you have an understanding of what that meant? A. Yes. To kill somebody. Q. And did you do exactly as Milito had instructed? A. We went out to a restaurant in Staten Island. I, I believe the name was Nino's. Q. And who did you and Louie Milito meet when you got to the restaurants, Nino's on Staten Island? A. Gravano Joe Watts, Tom Bilotti. 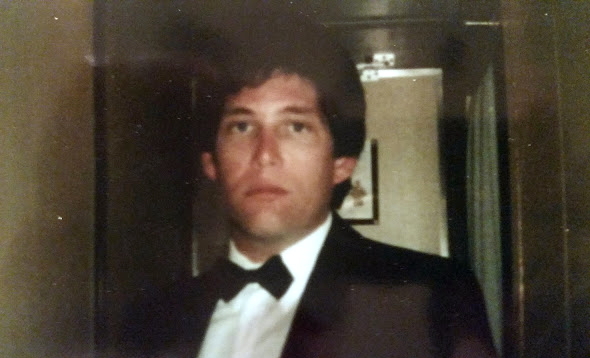 Q. Gravano, at this point in time, you knew to be who? A. He was a soldier in the Gambino family. A. He was associate, part of the inner circle. A. He was captain at that time. Q. What happened when you, the five of you, assembled at Nino's restaurant? A. After some small talk, Tommy had tapped me on the shoulder and says, come on, take a walk outside. Where we stepped into a vestibule. And he looked me in my eyes and he says do you know why you're here? And I says, yeah. I said we got to do a piece of work. Tapped me back on the shoulder, he says, come on, let's go back in. Q. And did Bilotti ever take you up on your offer to do a piece of work for the family? Q. Anything every come of that meeting? Q. Did there come a time, however, shortly after that, that you actually did participate in a murder conspiracy and murder on behalf of the Gambino family? A. Same situation. Pauley Zac came to me, he goes, he said to go see Louie Milito. I went to see Louie and he explained it me. Q. What timeframe are we in here? A. I would say around '83. Q. And you went to see Milito. And tell us what happened from that point forward. A. Louie said, we have to do a piece of work. Gravano had a beef with somebody, and that he got permission from Paul Castellano to kill this guy. And he says that I was going to be on it. Q. Did Milito tell you who the intended victim was? A. I don't know if he told me then, but later on I found out it was Jack. He might have told me that. Q. And who is Jack? A. I never got his last name. He was an associate of Gravano. Q. Did you have any idea who this Jack was? Q. What instructions, if any, did Louie Milito give you about what your particular role was to be in this conspiracy to murder Jack? A. Yes. He wanted me to drive a diversion car, or back-up car, after the man was killed and placed in a trunk and driven to a location and left. Q. Did you ultimately play that role in Jack's murder? A. The night he was murdered, he was in a bar called Docks. And Sammy was there with Louie and the rest of the crew. They killed Jack. Q. Were you there, did you see them kill Jack? A. No, I was sitting in a car, about a block, block and a half away, waiting for Louie to pull up with the body of Jack in the car, drive to a designated spot, block the street, Louie would park, and then get in the car. Q. Did there come a time while you were parked outside of Dock's bar that Louie Milito actually did come out of Dock's and get into a car? A. Yes, that is what happened. I seen his car coming up 16th Avenue, with another car behind him. And they both drove up a block, they made the turn, and I followed behind them, and created that diversion. Q. And as you followed behind Louie Milito's car, what do you believe was in the trunk of Louie Milito's car? Q. Do you know for certain whether that was true? Q. What happened in your life in May of 1985? Q. Well, not through the Gambino family, your own family, I mean. A. Oh, I got married. Q. Okay. How were he you making money at that time? A. I was doing some shylocking, some bookmaking; things of that nature. Q. Did you have any businesses that you were involved in in May of '85? A. Yes. I had a produce business. 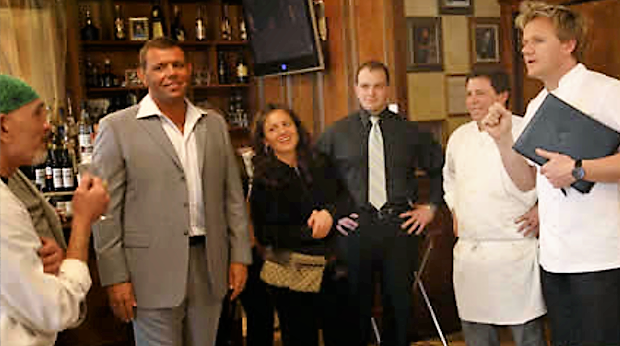 I was partners with Pete Castellano and another fellow named Frank Sorbiani. Q. 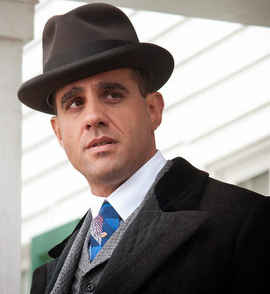 Who was Pete Castellano? A. He was a soldier in the Gambino family, and cousin to Paul Castellano. Q. At this point in time, Paul Castellano was still the boss of the Gambino family? Q. Do you recall what happened to Paul Castellano on December 16, 1985? Q. Do you remember the exact location? Q. Was anyone else murdered that night with him? Q. Did you ever speak to anyone who had played a role in the murder of Paul Castellano and Tommy Bilotti? A. I talked to Eddie Garafola about it several times. Q. And in your conversations with Gravano and Eddie Garafola, did you learn who had carried out the murder of Paul Castellano and Bilotti? A. Yes. It was John Gotti, Frankie DeCicco, and others. Q. And who was Tommy Bilotti, at the time that he was killed alongside of Paul Castellano, the boss? A. He just became underboss. Q. So who succeeded Paul Castellano as the boss of the Gambino family as '86 rolled around? Q. And who did John Gotti, Sr., make his underboss immediately after killing Castellano's underboss, Tommy Bilotti? Q. Let me show you on the screen government exhibit 17. Who is that? Q. What became of Paul Castellano's social club, the Veterans and Friends Club that we saw in some of those earlier photos after Gotti and DeCicco murdered Paul Castellano? A. Frankie took it over. Q. So the social club stayed in operation? Q. And did you continue to go to the Veterans and Friends, even though Castellano was now dead? A. Sure, yeah, I was close with Frank. Q. I want to direct your attention now to approximately four months after the Castellano murder, April 13 of 1986. Do you recall going to the Veterans and Friends that day? Q. And do you recall what time of day you arrived? A. I believe 12:00, around 12:00, 1:00. Q. Do you recall seeing anything out of the ordinary as you entered the Veterans and Friends that day? A. Yes. I drove a up Bay 7th Street, towards 86 Street. And when you get to that point, you can either make a left or right. And directly across the street is a catering hall with a driveway to go to the back. And I seen a fellow sitting in a car with a baseball cap, leaning down in the seat in the car, looking back on his rearview mirror towards the club. And I said -- I felt that was odd. Q. And when you went inside Veterans and Friends, who did you meet in there? A. There was about 50 or 60 guys in there at the time. 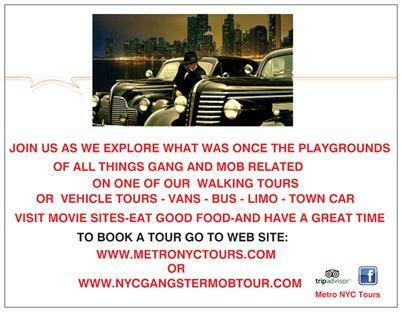 A. Gambino family guys; associates, soldiers, captains, Frankie DeCicco. Q. Once you got inside, did you tell anyone about what you had seen outside, that thing that you said was, seemed odd to you? A. Yes, I mentioned to Pauley Zac. A. I told him what I seen. And he said, he wrote it off as law enforcement. A. We thought -- we had the FBI sitting outside, or Kenny McCabe, or somebody like that taking pictures, which they usually did on Sundays -- almost every day. Q. Just to be clear, who is Kenny McCabe? A. 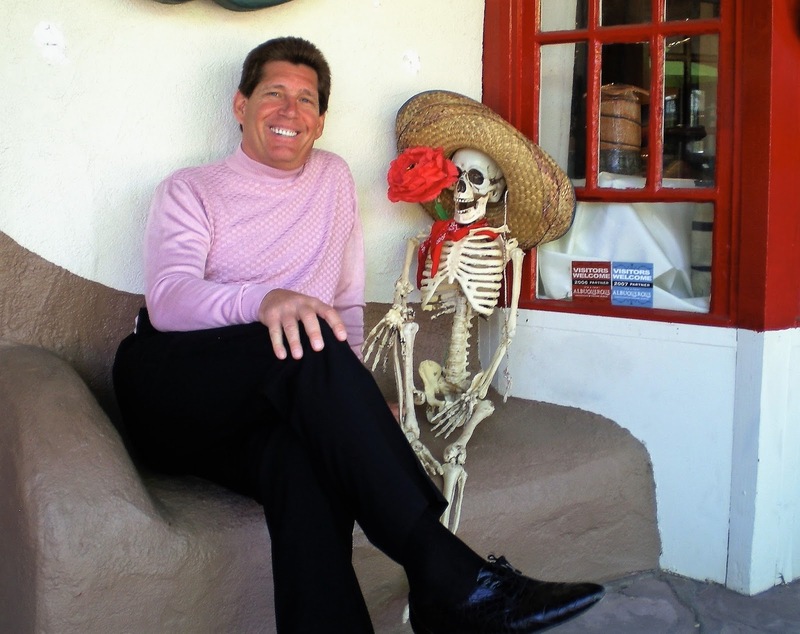 He was an investigator with the government, and he would be tenacious fellow. He was on that club every day it was open, from beginning to end. Q. What happened shortly after you went inside the Veterans and Friends Club that day? A. Frankie DeCicco walked out with another individual named Frankie Heart, who was a soldier in the Luchese family. And within a couple of minutes, there was a huge explosion, rocked the whole club. And there was a -- Frankie's car had been blown up with Frankie sitting in it. Q. Did you go outside? A. Yeah, we all ran outside. Q. And what did you find when you got to DeCicco's car? A. Car was blown up and on fire. Q. Where was Frankie DeCicco? A. Frankie DeCicco was still in the car. Garafola, myself, Gravano, and another fellow named Joe DeCicco ran across the street to the car. And they were trying to pull Frankie out of the car, but he was just falling apart, they said. And the other fellow, Frankie Heart, was blown across the sidewalk on to a fence, and his foot was hanging off. Q. Either of those two men alive at that point in time? A. Frankie Heart lived, and DeCicco died. Q. 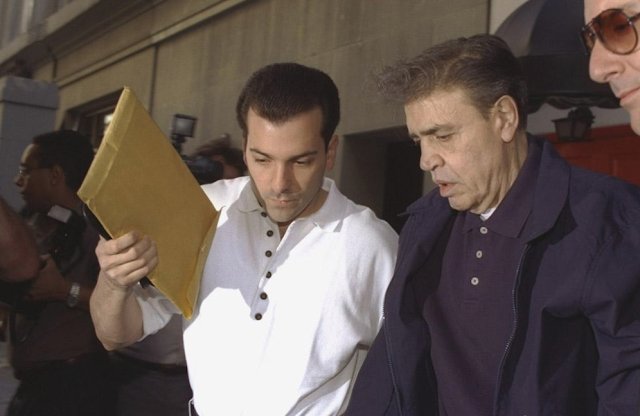 Did Gotti, Sr. appoint a new underboss after the murder of Frank DeCicco? Q. And just to be clear, DeCicco was Gotti's underboss at the time he was murdered? Q. And who replaced him as underboss of the Gambino family? Q. Now, did there come a time later that same year, we're in 1986, that your own captain, Lilo Garafola, passed away? Q. And who succeeded him in that position? Q. Jack D'Amico, is he known by any other names on the street? Q. And I'm showing you government's exhibit 15 on the screen. Who is that? Q. And you say his nickname is "Jackie Nose." How did he come by that name? A. He had his nose fixed, he had a big, distorted nose at onetime. Q. What was the nature of your relationship with Jackie Nose D'Amico from that point forward when he succeeded Lilo Garafola as your captain? A. I was with Jack almost every day. Q. Now, did there come a time that Jackie "Nose" D'Amico proposed you for membership to be straightened out as a soldier in the Gambino family? Q. When, approximately, was that? A. When did he propose me? Q. So around '86, '87? Q. Did D'Amico have any suggestions for you as to how you could raise your profile to increase your chances of getting straightened out? A. Yes, he wanted me to come around the Ravenite whenever they were open, whenever John was there -- he wanted me to be around the boss more often -- or go out to the Bergen Hunt and Fish on Saturday. Q. And what was the Bergen Hunt and Fish? A. That was John Gotti's headquarters. Q. And did you actually start attending these social clubs? Q. And by 1988, approximately how many times a week were you at John Gotti, Sr.'s social club, the Ravenite, on Mulberry Street? A. That would be three or four. Q. And who would you see there on a weekly basis? A. Just about everybody in the family. Throughout that week, everybody would come. Q. Just name a few. A. Jimmy Brown, Danny Marino, Sammy Gravano, Louie Milito, Mario Cina, Tony C. old-timer from New Jersey, a captain. Louie Brag, another captain. Gregg DePalma.